Make your dreams come true to see the prehistorical animal on their own habitat. 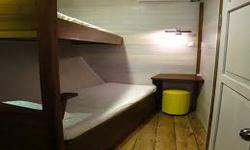 Our expert have made travel packages to suit every travellers need. you will experience, eco tourism, adventure, soft hiking, snorkelling,watch the wild animal and still much more activities you will do. 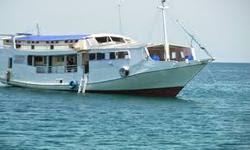 Boat Trip will begin from Lombok and will be end in Labuhan Bajo Flores (one Way). For those who stay on Gili island able to join our expedition trip as our boat departure twice a week, every Monday and Thursday from Bangsal harbor at 09 am and from Senggigi 10.30 am. Our shuttle bus will pick you up at Bangsal harbor and at your accommodation around Senggigi and Mataram area. Shutle bus pick up all the participant from Bangsal harbor, Senggigi, and Mataram, transit in Mataram for your personal need then continue to Labuhan Lombok ferry pier. The first sailing to Gili Lampu for swimming and we will stop over on the other small island like Gili Bedil, Moyo island and Satonda the participant will do lot activities such snorkelling, take a bath on the river of Moyo visiting the salt lake water, fishing and watch the glorious sunset. Lunch and dinner will be serve on boat. The boat will continue sailing to Gili Banta in Flores area, on this day the participant will do, swimming, snorkelling, and hiking, your highlights activities this trip are hiking on Satonda island to watch the glorious panorama of Flores island landscape. Breakfast, Lunch, and dinner will serve on boat. The boat will continue sailing on the night time to Komodo island when in next morning after breakfast you will hunting the Dragon Komodo on their own habitat, after enjoy the Komodo island your trip will continue to red beach to take an other opportunities of snorkelling on the gorgeous beaches, hiking in Rinca island to watch the wild animal like flying fox and other animal including the Komodo Dragon. All meal will serve on boat. The boat take night sailing to Labuhan Bajo. All the participant will take an last chance for snorkelling on Kalong island then the boat sailing to our last destination of Labuhan Bajo. All participant check out from the boat then continue to your next destination, end of program. Passenger: Max 25 persons. Crew: 5 – 6 persons. » 3 meals a day. » Pillow and blanket for each persons. » 4 bottles mineral water a day. » Entrance fee at National park of Komodo. » The price above are quote in Indonesia Rupiah base on sharing price. » Price above are quote for one person. » Travel itinerary above can be change considering of safety regulation. » Booking should made at minimum of one week before departure. » The boat trip will goes at minimum of 10 persons.